FC Barcelona now know their opponents in the semi-finals of the Copa del Rey. Luis Enrique’s team will face Atlético Madrid in the last four of the competition as they continue their attempt to claim a third successive trophy. 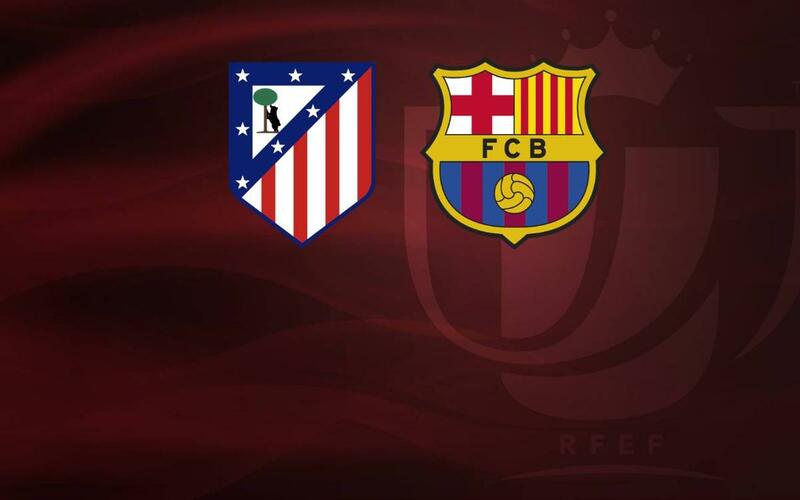 The first leg will be played at the Vicente Calderón on Wednesday 1 February at 9.00pm CET with the return leg to be played at Camp Nou on Tuesday 7 February also at 9.00pm CET. Barça have met Atlético on 23 separate occasions in the Copa del Rey, claiming 13 victories in that time. The last time the two sides came face to face in the domestic cup competition came two seasons ago in January 2015. On their way to clinching the trophy with a victory over Athletic Bilbao in the final at Camp Nou, Luis Enrique's side disposed of the colchoneros at the quarter-final stage. A goal from Leo Messi gave Barça a 1-0 advantage in the first leg at home and they booked their place in the semis with a 3-2 win in the Calderón in the return leg thanks to two goals from Neymar and an own goal from Miranda. The other semi-final sees fellow first division side Celta and Alavés face each other with the first leg in Vigo at the Balaídos and the second leg in Vitoria at Mendizorroza.